It is working. When I saw the before and after photo, the young woman barely had lines around her mouth and mine were deeper. However, after about 6 weeks, it looks like I have put filler in the lines. I can't wait to see what they look like in another six weeks. I am on my second bottle and have seen significant improvement in my deep laugh lines. I had fillers injected 3 years ago that didn't seem to make any difference. I have never found any product that works as well as this. It takes patience, nothing works overnight, but I believe in this product line. I really love this product. I use it with the Pepti-Lift and Pro Col. My skin is so soft and I see a softening of some of my lines. Two age spots on my face are slowing going away. YA! I will continue to use and am looking forward to more results in the months to come. This product works wonderfully. I have been using it approximately 3 weeks and noticed a difference right away. 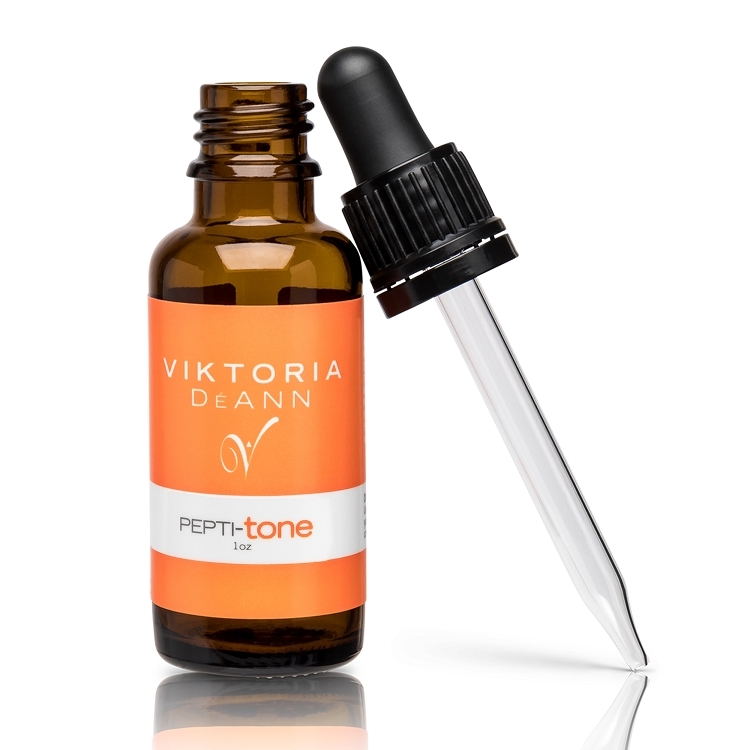 I have been using the Pepi Tone with the Pepi Lift and I can already see a big difference in my skin tone and it has only been a few weeks! I wouldn't be without them now.